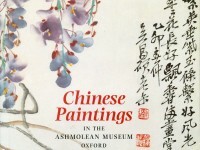 The monographs and exhibition catalogues listed below include publications both on artists represented in this catalogue and on those in the Reyes Collection, presented to the Ashmolean in 1995 and published in S. Vainker, Modern Chinese Paintings: The Reyes Collection in the Ashmolean Museum, Oxford, Oxford, 1996. In many of the publications, no author or editor is indicated; these appear under the artists name or in the case of exhibitions, under the city and venue. Chen Shaomei huaji, Beijing, n.d.
Cheng Shifa huaji, Beijing, n.d.
Gai Qixiang Hongloumeng lin ben, Shanghai, n.d.
Wang, Gailu, Huang Binhong xiansheng nianpu, n.pl., nd.